The aesthetic aspects of your Arizona home are as personal as your wardrobe. You take care to dress your home up to show the appeal you want it to have. Very rarely does someone add an element or change the exterior of their home if they don’t think that it will add beauty and value to their home. The roof can sometimes be overlooked, when really, the correct roof can complete the look of the home in the most unique of ways, and offer the complete package for the ultimate curb appeal. Although a roof is a necessity to any home, it can also be a prominent design element. Some homeowners can be unaware of how much the look of a roof can change the overall feel of their home. It adds a uniqueness to one of the most visible parts of the home. The roof, in fact, can account for over half of the visible shell of the home. So as you can see, whether you’re building a home or looking to do a complete Phoenix re-roofing, choosing the right style of roof, and the perfect material, is very important. 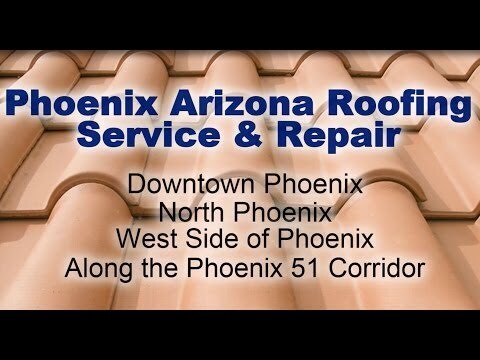 Besides the design characteristics, roof maintenance near Phoenix plays an incredibly important role. Whether you’re selling your home and trying to attract the right buyer, or wanting to add to the beauty of your neighborhood, maintaining a roof, and making necessary roof repairs, is exceptionally important. You picked the perfect roof to add that wow factor to your home, so make sure that there are no missing or broken pieces to detract from the beauty of your roof. Picking house colors can be tedious and stressful. Sometimes you find that right color, but it’s missing something to feel complete. Picking the right roof color to accent your home’s colors and landscaping can add curb appeal like no other element can. Different roofing colors can change the feel of the home. There are, of course, the traditional colors of browns, grays, and blacks. Choosing a more modern, metal roofing color can both add depth and a unique fixture that can enhance your home’s look. Sometimes, just like with interior colors, choosing the right shade or finish can be beyond difficult. 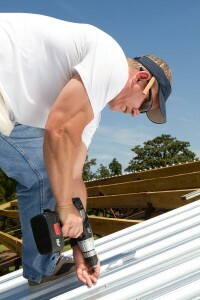 Having the consult of a professional roofer near Phoenix to give ideas and examples is the way to go. There are a lot of options available, and if you’re going to invest in something as important, and sometimes spendy, as a re-roofing, consulting a professional roofer and getting design ideas is a great option. It can also help if they narrow down what they feel would be the most complimentary design and color so you don’t feel so overwhelmed with options. Most of the elements that make up your roof have two lifespans. One is for their aesthetic appeal, and the other is for their functionality. Most of the materials will be physically appealing for a few years, but their appearance wears under the elements, leaving them looking stained, streaked, and looking tired. Choosing a metal roof can add beauty and longevity to the aesthetics of your home. Home value is not only dependent on the market. Your home’s value is also completely contingent on finding a buyer that sees the value in your home, and is willing to pay what they believe it is worth. When a prospective buyer pulls up to see a home, they make some immediate determinations about the house itself. Having beautiful, well maintained roof that accents the rest of the elements of the home just right can give the buyer the little push they are looking for. On the other hand, an old, tired looking roof can seriously detract from the look of the home and turn a potential buyer away. Sometimes the homes in the Phoenix area can look very similar, especially when a buyer has been shopping for a few weeks, viewing countless homes. Adding that one, defining characteristic to your home by choosing the right roof design and color, can become the tie breaking factor. If you’re interested in seeing the different roofing elements we offer to spruce up your home value and curb appeal, call and schedule a consult with AZ Native Roofing. We will find the perfect roof for your Phoenix home to give it that one factor that will set your home apart from all the rest.